Smooth, juicy and subtle, Fruits of the Forest e-liquid by Webster’s One Pound Wonder is the ideal all-day vape for berry fans. Full of rich red berry flavour, Webster’s Fruits of the Forest is sweet but perfectly balanced. 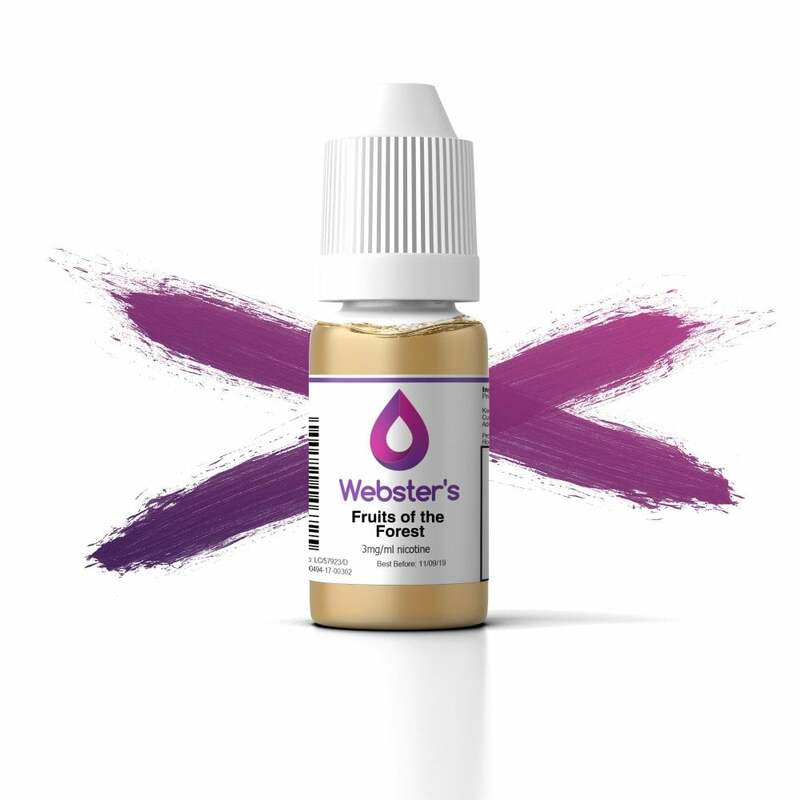 Webster's e-liquids are designed for use with any vape kit as the PG/VG ratios are adjusted in line with nicotine strength. Higher nicotine strengths carry more PG and offer a better throat hit whereas low nicotine variants have more VG and provide greater vapour production. See below for the nic strength to PG/VG ratios. Please note: not all liquids will be available in all strengths. This is only a guide and results will vary based on device used. Best e-liquid I've had and a great price too.Find the taste smooth and not too sweet like most. Superb E-liquid for the price, has a very pleasant fruity taste. I got the 3mg nic variant which produced decent vapor clouds with a sub ohm. Would highly recommend. Great juice, nice flavour, not too sweet, great all day vape. Biggest plus for me is the 3mg is 60% vg, which works brilliant in both my penguin and t20s tank. For only £1.00 definitely worth a try. Great fruirt flavour, absolutely delish. Nice simply packaged bottle. Great introduction. Thanks guys.